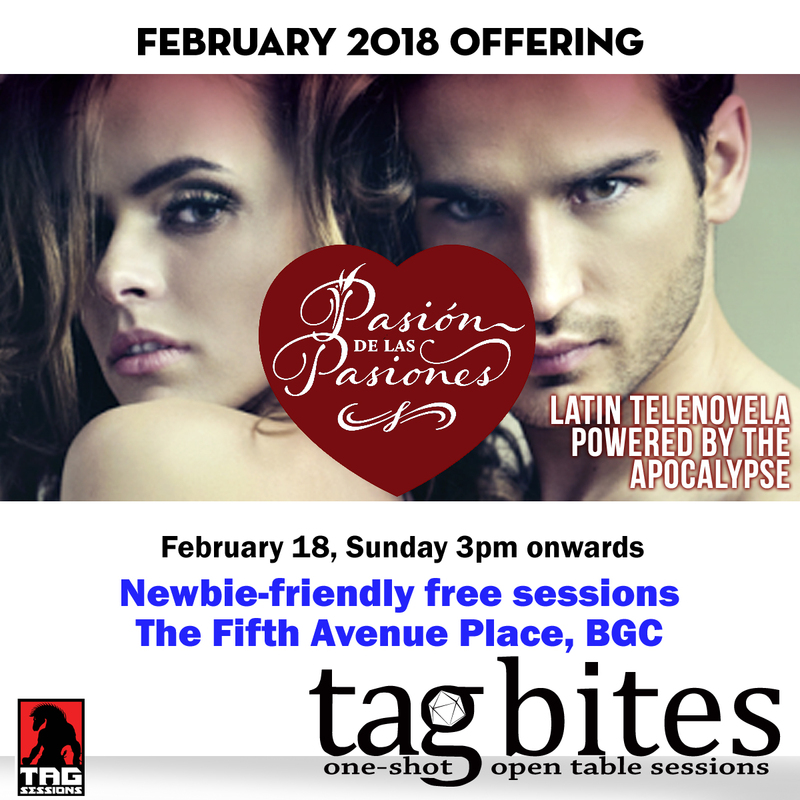 This February, let's indulge in our inner drama. Fans of telenovelas and shows such as Jane the Virgin or Dynasty, prefered. Learn more about TAG Bites. 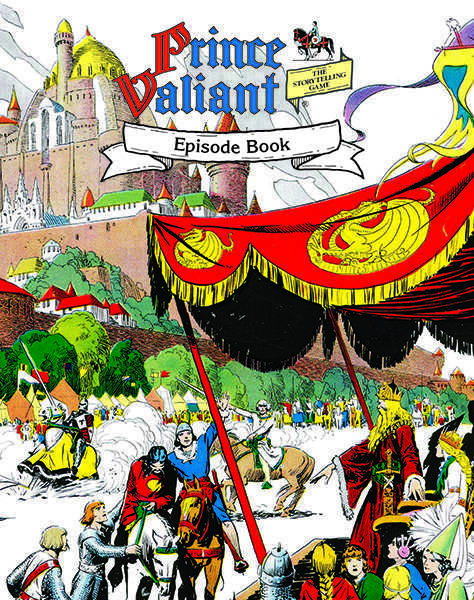 Prince Valiant is now available on DrivethruRpg! 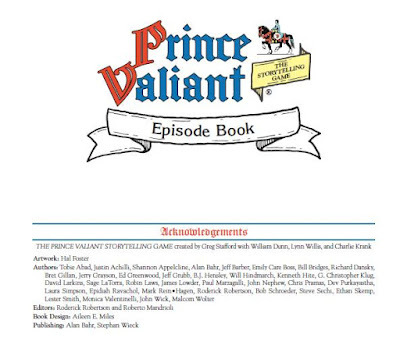 Prince Valiant The Storytelling Game is now available on DrivethruRpg! 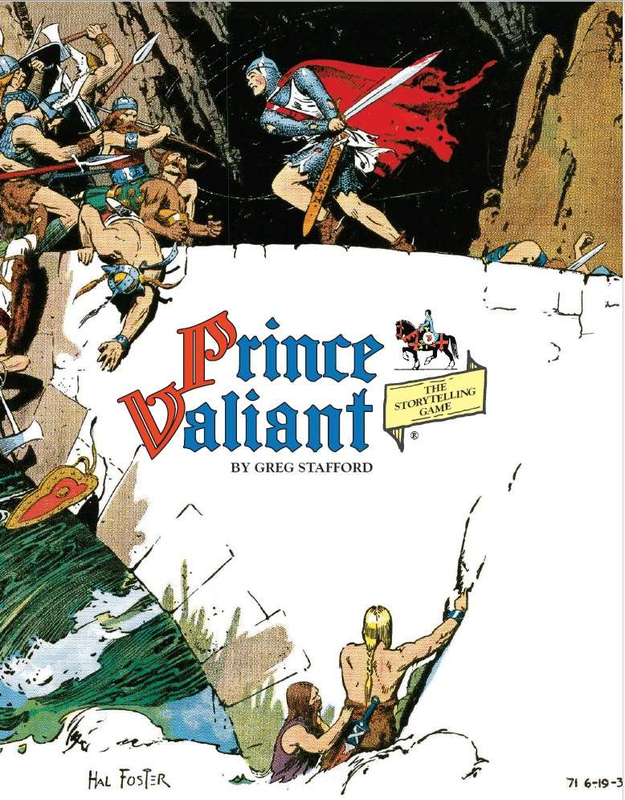 Set int he Arthurian world of Hal Foster's masterpiece comic strip, the game is by the world-renowned game designer Greg Stafford (Runequest, King Arthur Pendragon). Even more awesome for me is the game will have The Prince Valiant Episodes Book which is chock full of scenarios and adventures to send brave knights on. I'm extremely fortunate and thankful to be part of that book and it is mind-boggling to find my name among other industry greats. 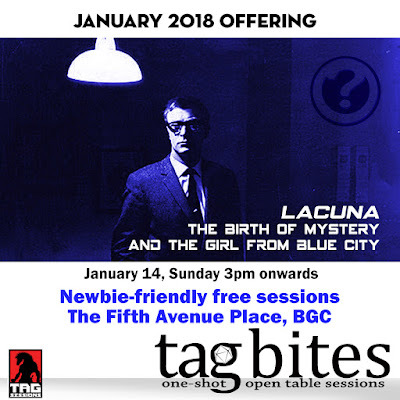 Remember though: Memory loss is quite common in the Blue City. The Heroes still attempt to comprehend the events that surround the recent events here at the wedding of Thomas and Maddie, old friends of Jan Volta. The group also reunited with Valderamas, Veronique Soledad, Finn McKeelan, and Lena Damaske; Heroes whom they had encountered and worked with in the past. Elena Grigorii, whom they know to be connected to the Novus Ordo Mundi in some way, is present as one of the aunts of the bride and former paramour of Jan Volta. In addition, Reikion has started to see proof that his clanmates have gone missing with many of their camps empty of any members. Finally, they met a man who had lost his Porte magic after being a patient of Nisab Guisolla. As they consider interrogating Samo Sokolof for answers, they also secretly consider options on how to use the fact they know Elena Grigorii is tied to the NOM to their advantage, especially since as of now she does not know they know. Reikion uses the gifts Matushka has given him to summon a Raven to watch over Grigorii while the others consider ways to find the missing Prince. They eventually opt to explore the sewers and encounter a number of hybrid creatures that have tails, regenerative abilities, and vicious teeth. During the search, Elena Grigorii uses the distraction to raid the morgue as the Ebon Doctor. With Reikion's spy alerting him to her motions, the group splits up with Reikion attempting to intercept her while Walden and Jan ask the four others to help them focus on the missing Prince. Unfortunately, Grigorii was not working alone. Valederamas turns out to be working with the enemy and with the use of horrible shadow powers granted to him by his dievai, Veronique and Finn are terribly injured. The hybrids renew their attack, and while Lena and Jan combine their efforts against the creatures, Jan is forced to work his miraculous hands to save her from dying. Walden finds the center of the underground lair and discovers the stacks upon stacks of notes and pages regarding the plans of the villain of this scheme. And the unconscious body of Prince Aleksy Gracjan Nowak strapped to a table. But when Valderamas reveals his hand in the matter, he causes the entire place to flood with water. Walden and Jan are forced to act fast, saving the Prince and the scant pages they could from the rising waters. Back at the morgue, Reikion spies on the Ebon Doctor, finding her extracting marrow from the deceased and storing them in tiny glass vials. He watches as she communicates with someone unseen in the room, explaining she has successfully gathered more "stock material" and then injecting herself with some glowing serum using a vile device. The device allows her to catch Reikion's presence, and she confronts him directly, warning him that they do not know whom they are dealing with. To the hero's surprise, the Villain asks the very air to make him "forget" and suddenly, Reikion realizes he is standing alone in the morgue, oblivious to how much time has passed. At this point in the story, the players are starting to realize the extent of the NOM's influence. Valderamas, an NPC, switching loyalties was accomplished using the Villain Danger Points system that exists in 7th Sea. What made it extra painful was the fact these characters were played by the same players in a one-shot game in the past.